This collection of watercolor textures includes a total of 40 unique textures you can use to design your own stylish backgrounds. These are perfect for designing website backgrounds, posters, greeting cards, and more. The textures are available in 6000 x 4000 px resolution. If you’re looking for a minimalist watercolor texture background, then this bundle will give you not one, not two, but 6 backgrounds to choose from. It features a set of backgrounds with minimalist and creative designs that are perfect for various styles of digital and print design projects. This collection of watercolor backgrounds feature textures with a dark theme. The designs of the backgrounds are made to show a liquid-style effect. These will fit in nicely with your website design, social media, and other graphic design projects. A collection of winter-themed watercolor backgrounds. This pack features a set of 12 unique backgrounds featuring mild and cool colors that give out a Christmassy and winter-themed vibe. This collection of watercolor backgrounds feature designs with mixed and vibrant colors. It includes a total of 16 unique backgrounds that are available in 3000 x 2000 resolution JPEG files. The uncommon matte colored watercolor textures in this pack are perfect for creating backgrounds for retro and vintage-themed designs. It includes 10 unique backgrounds in 3000 x 2000 resolution. You can design everything from website backgrounds to app backgrounds, wallpapers, social media covers, and more using this pack of watercolor backgrounds. The golden colored design will give your backgrounds a unique look as well. This collection of watercolor backgrounds feature a unique water ripple-like effect. It includes 10 multicolored backgrounds featuring unique styles. The backgrounds are available in 5000 x 3333 resolution JPG files. Another collection of abstract watercolor backgrounds. The use of color and design of these backgrounds make them look like the textures are on fire. These will give your designs a truly original look. This bundle includes 10 uncommon watercolor painted canvas backgrounds. The unusual design of these backgrounds make them perfect for designing website backgrounds, app backgrounds, and blog covers, especially for technology-related brands. This is a big bundle of watercolor textures that include two types of textures: A pack of 32 watercolor textures and 32 neon watercolor textures. All textures come to you in JPG format, which allows you to use them in any app including Photoshop and Sketch. If you’re not a fan of textures, you can use this pack of watercolor backgrounds instead. This pack includes 11 beautiful backgrounds that are ready to be used as a background in your projects. The backgrounds are available in 3000 x 2000 resolution JPG files. A unique collection of watercolor textures that have been created with a mix of watercolor paintings and bold inking techniques. This pack comes with 8 colorful and weird abstract watercolor textures for creating your own unique backgrounds. A set of gorgeous watercolor backgrounds that mimic the beautiful starry cosmos. This pack includes 7 unique watercolor textures in 3000 x 2000 resolution. You can download this pack for free. Although, you will have to credit to its author when using it in your projects. The use of light and calming colors in these watercolor textures makes them more suitable for creating backgrounds with a natural energetic feel. The pack includes 12 different texture designs in print-quality JPG files. This is a mixed pack of 30 gradients and 15 watercolor canvas textures that have been created inspired by sunsets and sunrise. Each texture in this pack comes as layered PSD files, which gives you more design options to choose from. Using a watercolor background doesn’t always have to be so colorful. You can use this pack of textures to create more elegant and dark background with the watercolor effect. The pack includes 24 different patterns in 2400 x 3000 resolution. Another pack of free watercolor textures. Even though they are the author’s first textures, they look phenomenal. This pack includes 4 unique textures you can use for free of charge. No author credit required. This is a pack of Winter themed watercolor backgrounds. If you’re working on a website design, card design, or a promotional campaign design related to Christmas or new year, these backgrounds will come in handy. It includes 10 different backgrounds. A bundle of 30 different handpainted watercolor textures featuring an attractive blue color theme. These textures will help you craft the perfect backgrounds for websites, greeting cards, and other print and digital designs. The pack includes 18 watercolor textures, 7 watercolor papers, and 5 watercolor striped patterns. It doesn’t get any colorful than this. The watercolor backgrounds in this pack are so colorful that it will instantly grab anyone’s attention. They are perfect for creating backgrounds for a creative website or a children related project. The pack includes 10 unique backgrounds in JPG files. The watercolor background textures in this pack feature a slightly washed-up design that makes them perfect for a vintage or a retro design. It comes with 5 different texture designs you can use with your personal or commercial projects for free. 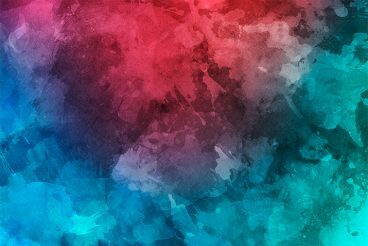 This pack of watercolor backgrounds includes 8 different backgrounds featuring designs of an amazing mix of colors. You can use them for everything from website backgrounds to presentations and more. You will have a hard time deciding whether these backgrounds are real pictures taken by Hubble telescope or created with watercolor paintings. They are that good. This pack of space-themed watercolor backgrounds includes 10 stunning graphics that are suitable for all kinds of design projects. Another collection of professional watercolor backgrounds with handmade paintings. This bundle features 10 unique backgrounds in 6000 x 4000 resolution. The unique designs of these backgrounds will help make your websites and presentations stand out from the crowd. If you’re a fan of pattern backgrounds, this bundle of watercolor patterns will come in handy. This pack includes 6 seamless watercolor patterns in 3 different designs which you can use to creating great backgrounds, borders, effects, or even print on T-shirts and mugs. By the way, it’s free! A rare pack of watercolor backgrounds featuring a duotone effect. These backgrounds are perfect for creating advertisements, billboards, and other print designs. It includes 11 different backgrounds with several types of designs and colors. The unique grunge effect featured in these backgrounds certainly makes them one of a kind. It’s hard to tell if these are actually watercolor paintings. This pack includes 10 unique abstract backgrounds with the grunge effect. They will look great even as your desktop background. This is a big bundle of watercolor backgrounds that includes 48 different backgrounds made from watercolor paintings. These backgrounds have been designed inspired by the four seasons Spring, Summer, Fall, and Winter. The pack also includes 6 bonus backgrounds as well. A pack of 12 unique watercolor backgrounds featuring an unusual design and color. These backgrounds are best for creating backgrounds for presentation slides and logo mockups. The files are available in 3000 x 2500 resolution JPG format. The watercolor textures in this pack feature a natural color scheme. They are perfect for creating greeting cards, ads, backgrounds, and more. It includes 6 unique backgrounds in large sizes. This is a massive bundle of watercolor textures. It includes 145 watercolor textures and shapes. You can use them to create your own unique backgrounds or even add cool watercolor effects to your text, shapes, and designs. Also, check out our collection of the best polygon background textures for more backgrounds and textures, with a slightly more angular and price edge!